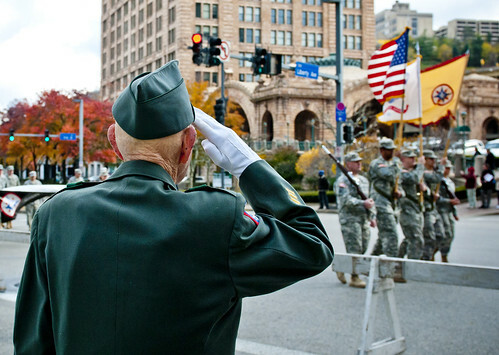 Notepad Corner: Top 5 Veteran-Friendly Cities in the U.S.
Top 5 Veteran-Friendly Cities in the U.S.
We support our troops, but what about after they come home? Certain cities in the U.S. do a great job of taking extra steps to care and provide for veterans. Whether it’s helpful resources, rewarding jobs, or educational opportunities, each of these cities has that extra something that makes them one of the best places to live for veterans. Known as Military City USA, San Antonio boasts a huge veteran population of over 100,000. This is the ultimate spot to settle down for those who love having a taste of big-city life along with supportive systems for vets. The patriotic feeling here is palpable, thanks to events like Celebrate America’s Military, which is held every November. Meanwhile, living costs are relatively low, so veterans are better able to afford spacious homes for growing families. If a coastal locale is more your speed, head to San Diego. As one of the biggest base cities, few places have a stronger military culture. Even the San Diego Padres baseball team sports camouflage uniforms each Sunday as a tribute to the troops. As an added bonus, San Diego is a great place for veterans to further their education. Both San Diego State University and the University of San Diego are regularly ranked among the best colleges for vets. Don’t discount this city as a great place for veterans due to the higher costs of living. While it’s true that Bethesda real estate costs a pretty penny, many apartments actually offer major rate reductions for service members and vets. The job market is perfect for a former member of the military. Low unemployment rates, many government job opportunities, and one of the highest median incomes in the nation make this an ideal home base for vets who want to advance their career. Veterans who want a little extra help getting on their feet would do well to settle in Beavercreek. This area is home to an unusually high number of veterans’ services. Nearby, vets can visit the Miami Valley Military Affairs Association, the OhioMeansJobs Greene County Center, the Dayton VA Medical Center, and the Military Veterans Resource Center in Dayton. Certain vets can even get free trips to see national memorials in Washington, D.C., courtesy of Honor Flight Dayton, also based nearby. Sometimes it’s nice to be surrounded by folks who understand you. That’s what veterans get in Sierra Vista, where vets make up nearly 30 percent of the population. Because Fort Huachuca is located here, vets have access to several services for military members, including the Sierra Vista Community-Based Outpatient Clinic, an outpost of the Southern Arizona VA Health Care System. Plus, this city is top-ranked for job opportunities in two of the most popular industries for vets: public administration (21 percent of jobs) and transportation, warehousing, and utilities (7 percent of jobs). There are plenty of places in the country where vets can feel welcomed. Do you know about any other hot spots for veterans? Let us know in the comments.